If your Ormond Beach commute could use a little more luxury, then a Maserati or Alfa Romeo model is a great choice. And if you have a tighter budget, you should opt for Certified Pre-owned Maserati or a Certified Pre-owned Alfa Romeo vehicles. These models provide you with the same luxury finishes and details as a new model, but with a lower price tag. Plus, they come with added benefits, like extra warranties. Hit the Port Orange streets with a CPO vehicle that stands out, and find your favorite model at Maserati Alfa Romeo of Daytona. 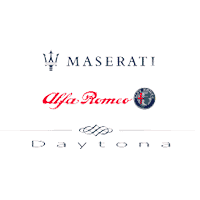 Why Choose Maserati Alfa Romeo of Daytona Beach? The best way to find a pre-owned Maserati or Alfa Romeo vehicle near Daytona Beach is to take a few for a test drive. Maserati Alfa Romeo of Daytona has a nice selection of pre-owned and Certified Pre-Owned luxury models to choose from. Take advantage of our vehicle specials or learn more about the Alfa Romeo warranty when you stop in. Get the process started today when you apply for financing online. Contact us today.